This Wednesday (30th November) BishBashBosh Theatre make a welcome return to St Ives. 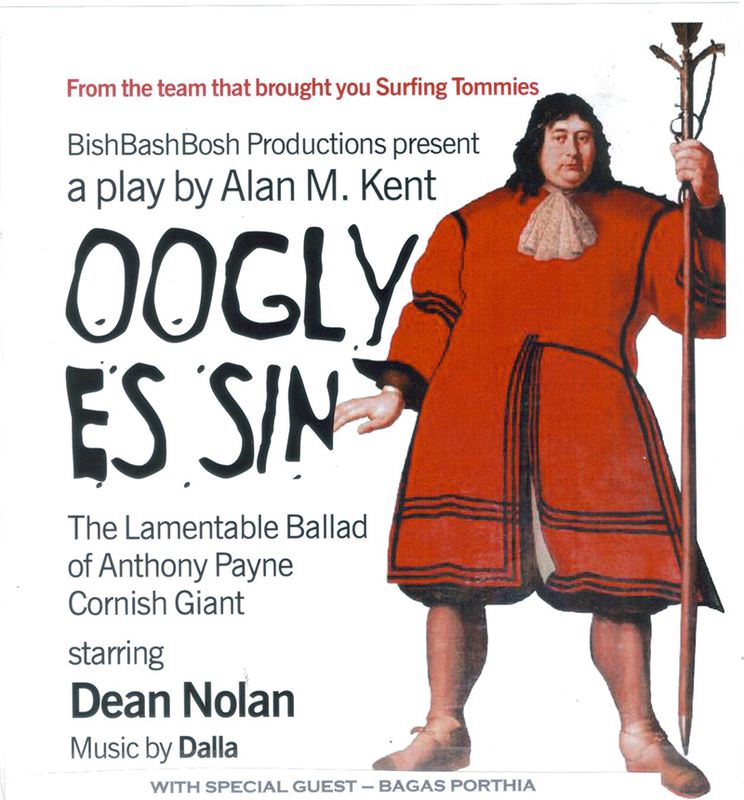 They will be at St Ives Guildhall with their latest play - Oogly Es Sin - The Lamentable Ballad Of Anthony Payne Cornish Giant. Last year I saw their previous production in St Ives - Surfing Tommies - and loved it. So this should be well worth seeing. Local band Bagas Porthia are performing in support - providing music and dance. 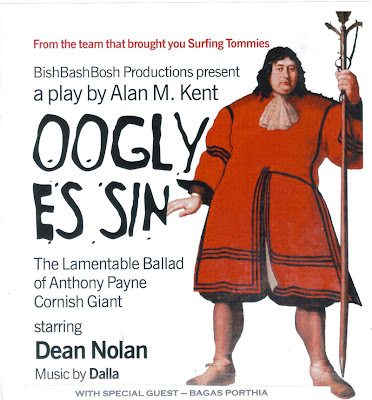 In this hilarious and touching new one-man play, BishBashBosh Productions and Dean Nolan are back as Antony Payne, the famous Cornish Giant. By the time, Antony Payne reached his twenty-first birthday he already stood seven foot two inches, and kept on growing! Having both the brains and the brawn, he soon became the bodyguard of the legendary Sir Beville Grenville, yet for all his size and bulk, he was always a gentle giant, nimble and dextrous to the letter. Every day, this Falstaff of the West has to question how it feels to be huge, in a world too set on being small. Doors open at 6.45 pm and the show starts at 7.00 pm. Tickets are £7.00 (general), £5.00 (concessions) and £20.00 (family - 2 adults / 2 kids). 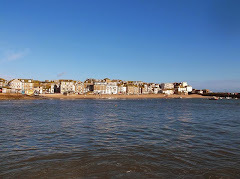 Available from St Ives Visitor Information Centre at The Guildhall and on the door.